We discuss removal and prevention of swimming pool algae, and explain the types of algae commonly found, plus clean-up steps and prevention measures. 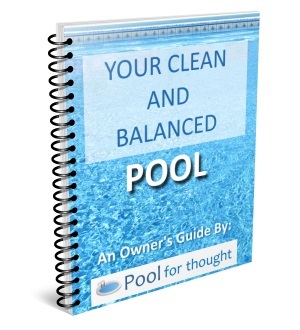 Complete instructions and explanations on raising pool alkalinity in your swimming pool water, why alkalinity is important, and why pool water may have low alkalinity in the first place. A complete explanation and how-to guide to lowering swimming pool total alkalinity, and a discussion of why alkalinity is important and why it might be high. This article instructs how to test total alkalinity in swimming pool water, plus I explain why it is important to test and monitor the pool alkalinity level. This article explains how to maintain total alkalinity in swimming pools, why alkalinity is important to your pool, and how to raise or lower alkalinity. This article explains how to decrease the chlorine level in swimming pool water, and why it is important to avoid high and low chlorine levels in the pool water. We explain why raising swimming pool chlorine to safe levels is important to keep your pool water safe both for your friends and family swimming in the water plus prevent potential pool equipment issues. This article explains how to maintain the chlorine level in swimming pools, why keeping an adequate chlorine level is important to healthy swimming. This article instructs how to test the chlorine level in swimming pool water, plus I explain why it is important to test and monitor the pool chlorine level. This article explains how to lower or decrease the copper level in swimming pool water, which products to use, and what can happen if the copper is too high.